Taskmaster is a well-known villain in Marvel Comics and he has the truly amazing power of perfect muscle memory, which allows him to master just about anything by watching it. This includes sword fighting and martial arts in the comics and he is a formidable foe. An inside source close to the Black Widow movie claims that he will be standing off against Natasha Romanoff. The character has famously been able to learn Hawkeye's skills with a bow, the Punisher's firearms talents, and Daredevil's athletic abilities. Marvel Studios reportedly wants Moonlight star André Holland to take on the role. The character was originally going to appear in the first Deadpool movie as a villain. While he appeared in the original drafts of that script, the idea was just too expensive for 20th Century Fox to pull off at the time. Now, with Fox folded into Disney, Black Widow could definitely pull this off. And it opens the idea that some of the villains housed within the main X-Men camp can be distributed elsewhere now, which couldn't have happened before. We don't really hear this too much, as everyone else has been focused on seeing the actual X-Men and the Fantastic Four in the MCU, not sideline, secondary characters. It appears that the MCU villain pool just got a lot deeper, and a whole lot more interesting. In other Black Widow news, it has been rumored that Emma Watson may be joining the cast as the second lead. Her name has reportedly been discussed by director Cate Shortland, Marvel Studios boss Kevin Feige, and producer Brad Winderbaum. However, it is believed that she has not auditioned for the part at this time. It's unclear if the character will be someone well-known from the comics or if her character will be created for the movie. Since casting is underway, we should find out soon. It has also been reported that Florence Pugh is in talks to join the Black Widow movie, though it is unclear which role she is going after. It is entirely possible that she is in talks to take the role that Emma Watson is rumored to have. In typical Marvel Studios fashion, nobody knows what's going on outside of the studio. 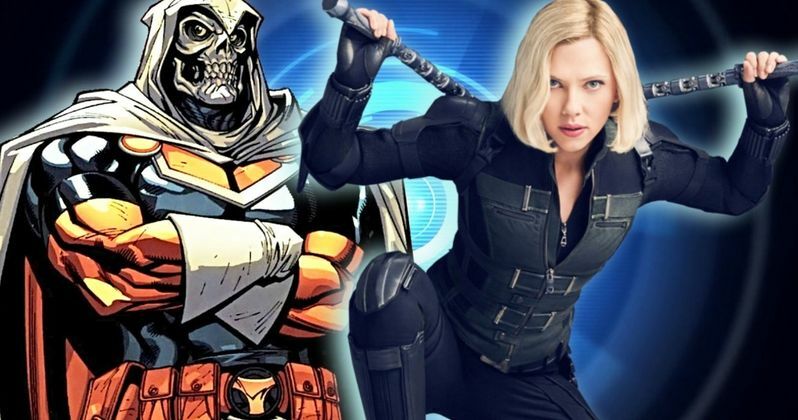 Everybody is keeping the specific details under wraps, which means that the Taskmaster news is very much a rumor at this time and should be treated as such for the time being. It is expected that we will get an official Black Widow announcement this summer at San Diego Comic-Con. Marvel Studios famously took this past summer off, and Kevin Feige is going to have a lot to announce after the release of Captain Marvel, Avengers: Endgame, and Spider-Man: Far From Home. The latter marks the first installment in the MCU's Phase 4 and fans are curious to see what's coming next along with some details. The Black Widow movie is one of those new projects that fans are very curious about. With that being said, we're going to have to wait a little bit longer to get some official news. The Taskmaster news was first reported by We Got This Covered.